So before anyone starts thinking that I am going to rant for or against any type of meat eater, vegetarian or other preference of humans, this is about wildlife . Wildlife eats what they have been taught to eat by their parents and their parents before them. Even better, they have developed physical abilities for their specific, preferred type of food. 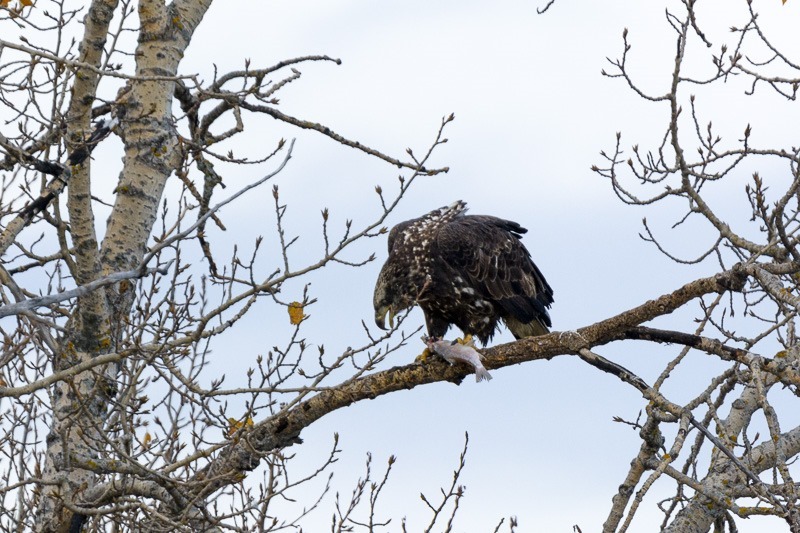 Look at the beak of this juvenile Bald Eagle. It caught itself a fish and landed in this tree. The fish was gone within 3 minutes. Us humans can’t do that: eat a raw fish without utensils within three minutes. This young one had no trouble with that. And was hungry for more, too. 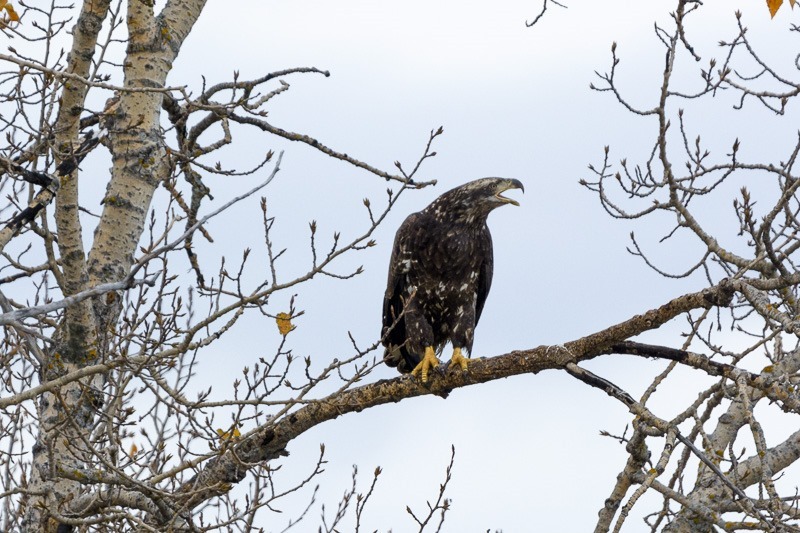 When another eagle approached the area it had just gotten a fish in, he or she was screaming loudly to scare the intruder away. At first I though it might have been to advertise the fact that there was food to be had, but no, this one was clearly not happy about someone else taking its food. Do all eagles catch fish in the water? Nope, they also steal it from others. 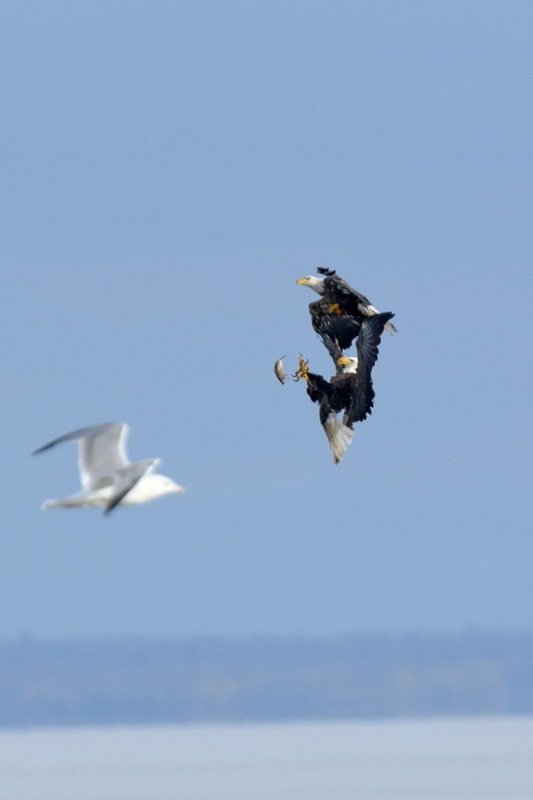 This mid-air skirmish ended in the fish dropping into the water to feed a waiting gull swimming close by. The fight lasted for less than three seconds. So where are the eagles to be seen the most? Where there is fish of course. They are not afraid to take fish freshly fished by professionals. 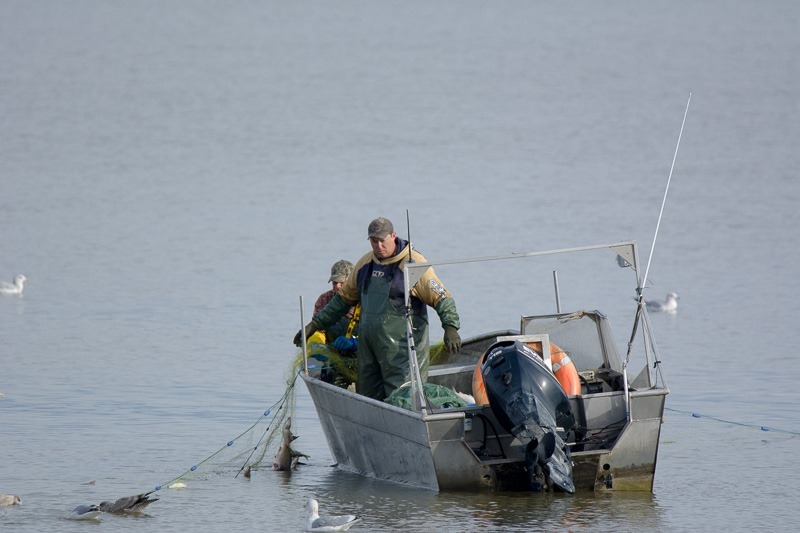 They let the gulls get closest to the fishermen, let them get away with the fish and then steal it. Works like a charm. 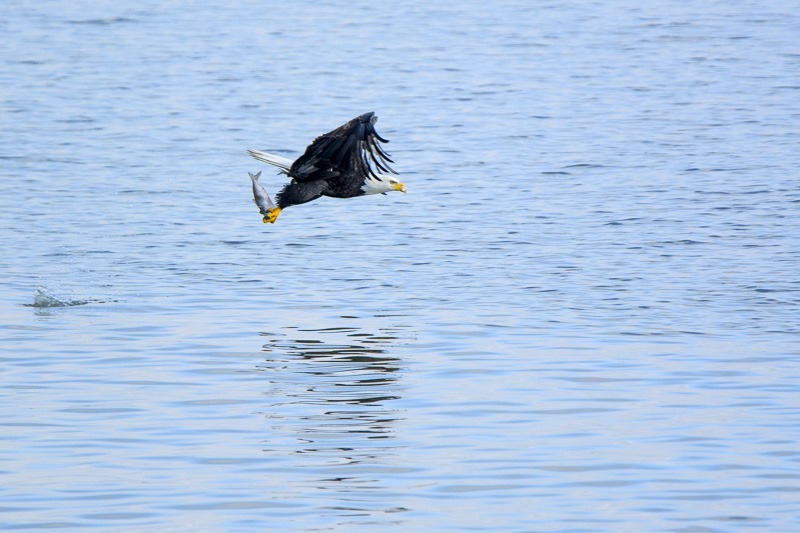 Not every bird is as keen on fish as the Bald Eagles, though. Some birds prefer insects. They are just as hard to get to, but easier on the muscles. 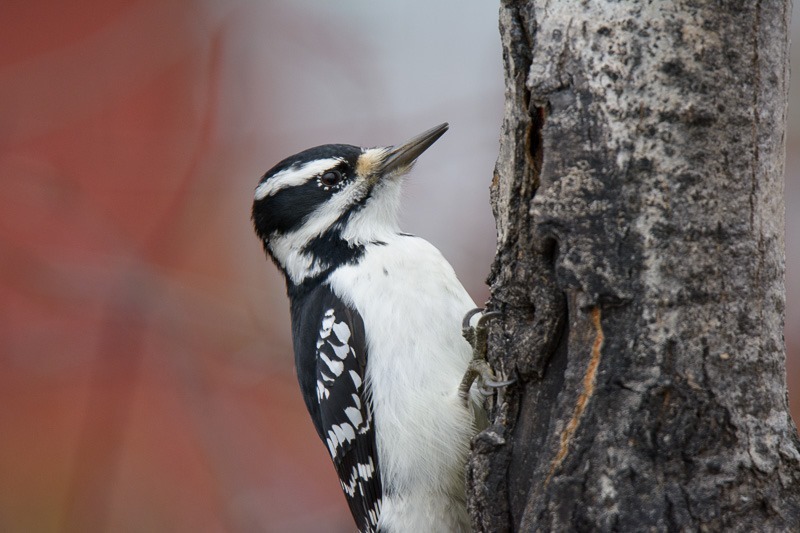 This Woodpecker was hard at work to extract its bacon from the tree. I could hear it from hundreds of meters away. When I finally found it, it was too busy feeding to care about me. And then you have the seed eaters. They scavenge anywhere where they can find seeds on the ground. Or in some cases on feeders put there by a gentle person. 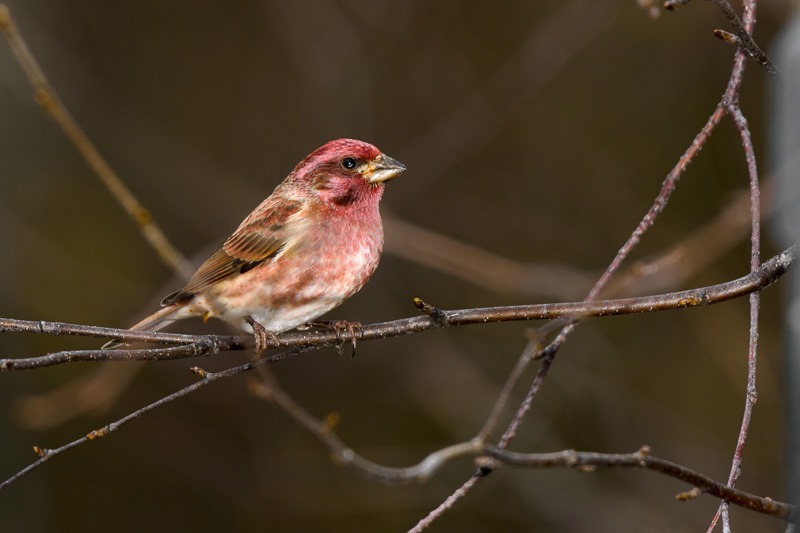 This Purple Finch was kind enough to sit still for a few seconds for me to photograph it. In other places, feeders are hung by volunteers, like here in Birds Hill Park, on a remote trail. 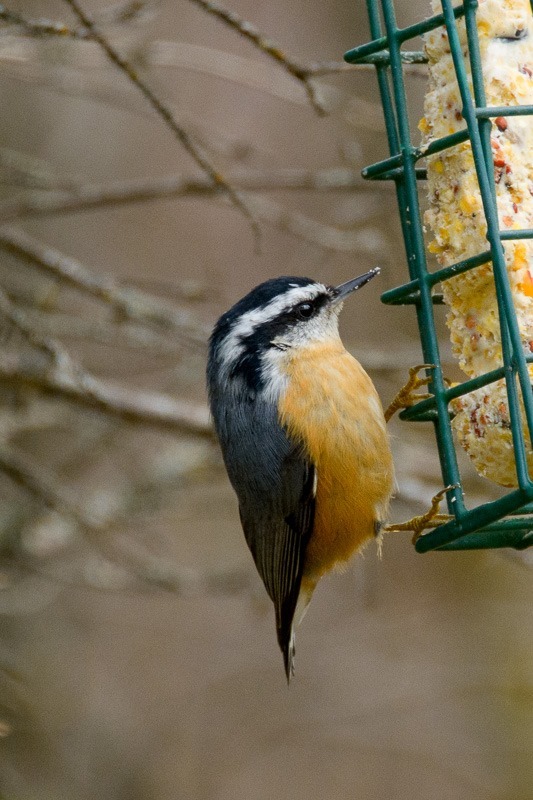 This Red Breasted Nuthatch is one of my favourite birds. Not very easy to photograph straight up, as its favourite posture is walking down a tree trunk and feed off everything it finds along the way. Pictures with Nuthatches head down are all too common in my collection. Bringing home the bacon is essential for all life, wild or domesticated. Come to think of it, I will need to go to Costco now, bring home some bacon for my own family.